This article is about the epic story. For the character, see Beowulf (hero). For other uses, see Beowulf (disambiguation). Beowulf, Hygelac, Hrothgar, Wealhþeow, Hrothulf, Æschere, Unferth, Grendel, Grendel's mother, Wiglaf, Hildeburh. Beowulf (/ˈbeɪəwʊlf/; Old English: [ˈbeːo̯wulf]) is an Old English epic poem consisting of 3,182 alliterative lines. It is arguably one of the most important works of Old English literature. The date of composition is a matter of contention among scholars; the only certain dating pertains to the manuscript, which was produced between 975 and 1025. The author was an anonymous Anglo-Saxon poet, referred to by scholars as the "Beowulf poet". Approximate central regions of tribes mentioned in Beowulf, with the location of the Angles in Angeln. 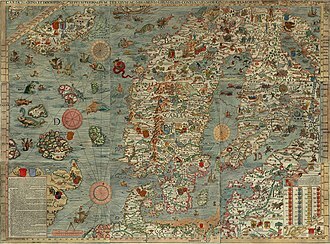 See Scandza for details of Scandinavia's political fragmentation in the 6th century. The events in the poem take place over most of the sixth century, after the Anglo-Saxons had started migrating to England and before the beginning of the seventh century, a time when the Anglo-Saxons were either newly arrived or were still in close contact with their Germanic kinsmen in Northern Germany and southern Scandinavia. The poem may have been brought to England by people of Geatish origins. Many suggest that Beowulf was first composed in the 7th century at Rendlesham in East Anglia, that the Sutton Hoo ship-burial also shows close connections with Scandinavia, and that the East Anglian royal dynasty, the Wuffingas, may have been descendants of the Geatish Wulfings. Others have associated this poem with the court of King Alfred the Great or with the court of King Cnut the Great. 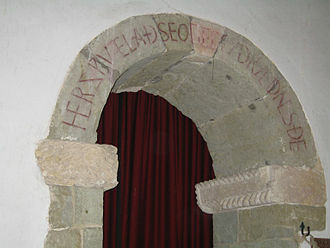 The poem deals with legends, was composed for entertainment, and does not separate between fictional elements and historic events, such as the raid by King Hygelac into Frisia. Though Beowulf himself is not mentioned in any other Anglo-Saxon manuscript, scholars generally agree that many of the other figures referred to in Beowulf also appear in Scandinavian sources. (Specific works are designated in the following section). This concerns not only individuals (e.g., Healfdene, Hroðgar, Halga, Hroðulf, Eadgils and Ohthere), but also clans (e.g., Scyldings, Scylfings and Wulfings) and certain events (e.g., the Battle on the Ice of Lake Vänern). In Denmark, recent archaeological excavations at Lejre, where Scandinavian tradition located the seat of the Scyldings, i.e., Heorot, have revealed that a hall was built in the mid-6th century, exactly the time period of Beowulf. Three halls, each about 50 metres (160 ft) long, were found during the excavation. The majority view appears to be that people such as King Hroðgar and the Scyldings in Beowulf are based on historical people from 6th-century Scandinavia. Like the Finnesburg Fragment and several shorter surviving poems, Beowulf has consequently been used as a source of information about Scandinavian figures such as Eadgils and Hygelac, and about continental Germanic figures such as Offa, king of the continental Angles. Finds from the western mound, left, excavated in 1874 at Gamla Uppsala, Sweden, support Beowulf and the sagas. 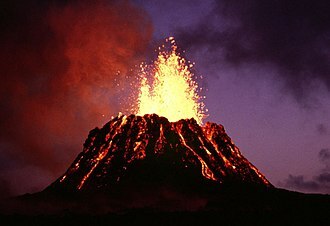 19th-century archaeological evidence may confirm elements of the Beowulf story. 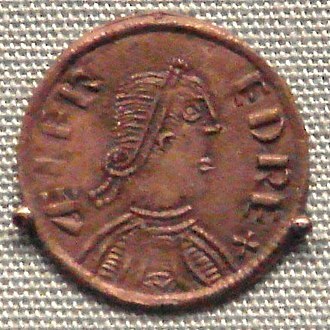 Eadgils was buried at Uppsala according to Snorri Sturluson. When the western mound (to the left in the photo) was excavated in 1874, the finds showed that a powerful man was buried in a large barrow, c. 575, on a bear skin with two dogs and rich grave offerings. The eastern mound was excavated in 1854, and contained the remains of a woman, or a woman and a young man. The middle barrow has not been excavated. The protagonist Beowulf, a hero of the Geats, comes to the aid of Hrothgar, king of the Danes, whose great hall, Heorot, is plagued by the monster Grendel. Beowulf kills Grendel with his bare hands and Grendel's mother with a giant's sword that he found in her lair. Later in his life, Beowulf becomes king of the Geats, and finds his realm terrorized by a dragon, some of whose treasure had been stolen from his hoard in a burial mound. He attacks the dragon with the help of his thegns or servants, but they do not succeed. Beowulf decides to follow the dragon to its lair at Earnanæs, but only his young Swedish relative Wiglaf, whose name means "remnant of valour",[a] dares to join him. Beowulf finally slays the dragon, but is mortally wounded in the struggle. He is cremated and a burial mound by the sea is erected in his honour. 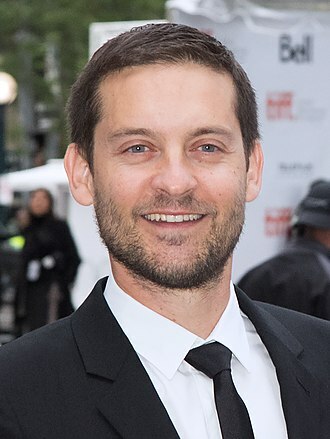 Beowulf is considered an epic poem in that the main character is a hero who travels great distances to prove his strength at impossible odds against supernatural demons and beasts. The poem also begins in medias res or simply, "in the middle of things," which is a characteristic of the epics of antiquity. Although the poem begins with Beowulf's arrival, Grendel's attacks have been an ongoing event. An elaborate history of characters and their lineages is spoken of, as well as their interactions with each other, debts owed and repaid, and deeds of valour. The warriors form a kind of brotherhood linked by loyalty to their lord. What is unique about "Beowulf" is that the poem actually begins and ends with a funeral. At the beginning of the poem, the king, hero, Shield Shiefson dies (26–45) and there is a huge funeral for him. At the end of the poem when Beowulf dies, there is also a massive funeral for Beowulf (3140–3170). Beowulf begins with the story of Hrothgar, who constructed the great hall Heorot for himself and his warriors. In it, he, his wife Wealhtheow, and his warriors spend their time singing and celebrating. Grendel, a troll-like monster said to be descended from the biblical Cain, is pained by the sounds of joy. Grendel attacks the hall and kills and devours many of Hrothgar's warriors while they sleep. Hrothgar and his people, helpless against Grendel, abandon Heorot. Beowulf, a young warrior from Geatland, hears of Hrothgar's troubles and with his king's permission leaves his homeland to assist Hrothgar. Beowulf and his men spend the night in Heorot. Beowulf refuses to use any weapon because he holds himself to be the equal of Grendel. When Grendel enters the hall, Beowulf, who has been feigning sleep, leaps up to clench Grendel's hand. Grendel and Beowulf battle each other violently. Beowulf's retainers draw their swords and rush to his aid, but their blades cannot pierce Grendel's skin. Finally, Beowulf tears Grendel's arm from his body at the shoulder and Grendel runs to his home in the marshes where he dies. Beowulf displays "the whole of Grendel's shoulder and arm, his awesome grasp" for all to see at Heorot. This display would fuel Grendel's mother's anger in revenge. The next night, after celebrating Grendel's defeat, Hrothgar and his men sleep in Heorot. Grendel's mother, angry that her son has been killed, sets out to get revenge. "Beowulf was elsewhere. Earlier, after the award of treasure, The Geat had been given another lodging"; his assistance would be absent in this battle. Grendel's mother violently kills Æschere, who is Hrothgar's most loyal fighter, and escapes. Hrothgar, Beowulf, and their men track Grendel's mother to her lair under a lake. Unferth, a warrior who had doubted him and wishes to make amends, presents Beowulf with his sword Hrunting. After stipulating a number of conditions to Hrothgar in case of his death (including the taking in of his kinsmen and the inheritance by Unferth of Beowulf's estate), Beowulf jumps into the lake, at the bottom of which he finds a cavern containing Grendel's body and the remains of men that the two have killed. Grendel's mother and Beowulf engage in fierce combat. At first, Grendel's mother appears to prevail. Beowulf, finding that Hrunting cannot harm his foe, puts it aside in fury. Beowulf is again saved from his opponent's attack by his armour. Beowulf takes another sword from Grendel's mother and slices her head off with it. Travelling further into Grendel's mother's lair, Beowulf discovers Grendel's corpse and severs his head. The blade of Beowulf's sword touches Grendel's toxic blood, and instantly dissolves so that only the hilt remains. Beowulf swims back up to the rim of the pond where his men wait in growing despair. Carrying the hilt of the sword and Grendel's head, he presents them to Hrothgar upon his return to Heorot. Hrothgar gives Beowulf many gifts, including the sword Nægling, his family's heirloom. 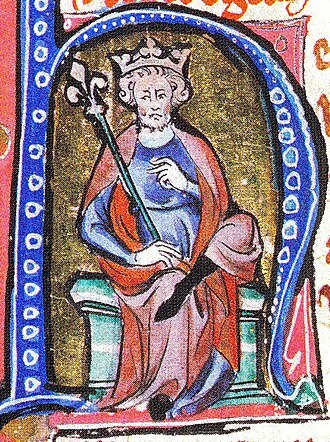 The events prompt a long reflection by the king, sometimes referred to as "Hrothgar's sermon", in which he urges Beowulf to be wary of pride and to reward his thegns. Beowulf returns home and eventually becomes king of his own people. One day, fifty years after Beowulf's battle with Grendel's mother, a slave steals a golden cup from the lair of a dragon at Earnanæs. When the dragon sees that the cup has been stolen, it leaves its cave in a rage, burning everything in sight. Beowulf and his warriors come to fight the dragon, but Beowulf tells his men that he will fight the dragon alone and that they should wait on the barrow. Beowulf descends to do battle with the dragon, but finds himself outmatched. His men, upon seeing this and fearing for their lives, retreat into the woods. One of his men, Wiglaf, however, in great distress at Beowulf's plight, comes to his aid. The two slay the dragon, but Beowulf is mortally wounded. After Beowulf dies, Wiglaf remains by his side, grief-stricken. When the rest of the men finally return, Wiglaf bitterly admonishes them, blaming their cowardice for Beowulf's death. Afterward, Beowulf is ritually burned on a great pyre in Geatland while his people wail and mourn him, fearing that without him, the Geats are defenceless against attacks from surrounding tribes. Afterwards, a barrow, visible from the sea, is built in his memory (Beowulf lines 2712–3182). Beowulf was written in England, but is set in Scandinavia; its dating has attracted considerable scholarly attention. The poem has been dated to between the 8th and the early 11th centuries, with some recent scholarship offering what has been called "a cohesive and compelling case for Beowulf's early composition." However, opinion differs as to whether the composition of the poem is nearly contemporary with its transcription, whether it was first written in the 8th century, or if a proto-version of the poem was perhaps composed at an even earlier time (possibly as one of the Bear's Son Tales) and orally transmitted for many years, then transcribed in its present form at a later date. Albert Lord felt strongly that the manuscript represents the transcription of a performance, though likely taken at more than one sitting. J. R. R. Tolkien believed that the poem retains too genuine a memory of Anglo-Saxon paganism to have been composed more than a few generations after the completion of the Christianisation of England around AD 700, and Tolkien's conviction that the poem dates to the 8th century has been defended by Tom Shippey, Leonard Neidorf, Rafael J. Pascual, and R.D. Fulk, among others. 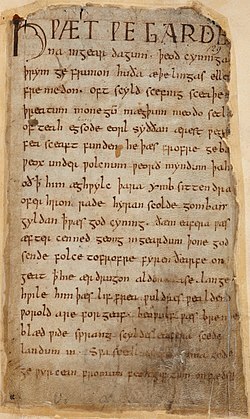 The claim to an early 11th-century date depends in part on scholars who argue that, rather than the transcription of a tale from the oral tradition by an earlier literate monk, Beowulf reflects an original interpretation of an earlier version of the story by the manuscript's two scribes. On the other hand, some scholars argue that linguistic, palaeographical, metrical, and onomastic considerations align to support a date of composition in the first half of the eighth century; in particular, the poem's regular observation of etymological length distinctions (Max Kaluza's law) has been thought to demonstrate a date of composition in the first half of the eighth century. However, scholars disagree about whether the metrical phenomena described by Kaluza's Law prove an early date of composition or are evidence of a longer prehistory of the Beowulf meter; B.R. Hutcheson, for instance, does not believe Kaluza's Law can be used to date the poem, while claiming that "the weight of all the evidence Fulk presents in his book[b] tells strongly in favour of an eighth-century date." Beowulf survives in a single manuscript dated on palaeographical grounds to the late 10th or early 11th century. The manuscript measures 245 × 185 mm. The poem is known only from a single manuscript, which is estimated to date from close to AD 1000, in which it appears with other works. The Beowulf manuscript is known as the Nowell Codex, gaining its name from 16th-century scholar Laurence Nowell. The official designation is "British Library, Cotton Vitellius A.XV" because it was one of Sir Robert Bruce Cotton's holdings in the Cotton library in the middle of the 17th century. Many private antiquarians and book collectors, such as Sir Robert Cotton, used their own library classification systems. "Cotton Vitellius A.XV" translates as: the 15th book from the left on shelf A (the top shelf) of the bookcase with the bust of Roman Emperor Vitellius standing on top of it, in Cotton's collection. Kevin Kiernan argues that Nowell most likely acquired it through William Cecil, 1st Baron Burghley, in 1563, when Nowell entered Cecil's household as a tutor to his ward, Edward de Vere, 17th Earl of Oxford. The Reverend Thomas Smith (1638–1710) and Humfrey Wanley (1672–1726) both catalogued the Cotton library (in which the Nowell Codex was held). Smith's catalogue appeared in 1696, and Wanley's in 1705. The Beowulf manuscript itself is identified by name for the first time in an exchange of letters in 1700 between George Hickes, Wanley's assistant, and Wanley. In the letter to Wanley, Hickes responds to an apparent charge against Smith, made by Wanley, that Smith had failed to mention the Beowulf script when cataloguing Cotton MS. Vitellius A. XV. Hickes replies to Wanley "I can find nothing yet of Beowulph." Kiernan theorised that Smith failed to mention the Beowulf manuscript because of his reliance on previous catalogues or because either he had no idea how to describe it or because it was temporarily out of the codex. It suffered damage in the Cotton Library fire at Ashburnham House in 1731. Since then, parts of the manuscript have crumbled along with many of the letters. Rebinding efforts, though saving the manuscript from much degeneration, have nonetheless covered up other letters of the poem, causing further loss. Kevin Kiernan, in preparing his electronic edition of the manuscript, used fibre-optic backlighting and ultraviolet lighting to reveal letters in the manuscript lost from binding, erasure, or ink blotting. The Beowulf manuscript was transcribed from an original by two scribes, one of whom wrote the prose at the beginning of the manuscript and the first 1939 lines before breaking off in mid sentence. The first scribe made a point of carefully regularizing the spelling of the original document by using the common West Saxon language and by avoiding any archaic or dialectical features. The second scribe, who wrote the remainder, with a difference in handwriting noticeable after line 1939, seems to have written more vigorously and with less interest. As a result, the second scribe's script retains more archaic dialectic features which allow modern scholars to ascribe the poem a cultural context. While both scribes appear to proofread their work, there are nevertheless many errors. The second scribe was ultimately the more conservative copyist of the two as he did not modify the spelling of the text as he wrote but rather copied what he saw in front of him. In the way that it is currently bound, the Beowulf manuscript is followed by the Old English poem Judith. Judith was written by the same scribe that completed Beowulf as evidenced through similar writing style. Worm-holes found in the last leaves of the Beowulf manuscript that aren't present in the Judith manuscript suggest that at one point Beowulf ended the volume. The rubbed appearance of some leaves also suggest that the manuscript stood on a shelf unbound, as is known to have been the case with other Old English manuscripts. From knowledge of books held in the library at Malmesbury Abbey and available as source works, and from the identification of certain words particular to the local dialect found in the text, the transcription may have taken place there. The question of whether Beowulf was passed down through oral tradition prior to its present manuscript form has been the subject of much debate, and involves more than simply the issue of its composition. Rather, given the implications of the theory of oral-formulaic composition and oral tradition, the question concerns how the poem is to be understood, and what sorts of interpretations are legitimate. Scholarly discussion about Beowulf in the context of the oral tradition was extremely active throughout the 1960s and 1970s. The debate might be framed starkly as follows: on the one hand, we can hypothesise a poem put together from various tales concerning the hero (the Grendel episode, the Grendel's mother story, and the fire drake narrative). These fragments would have been told for many years in tradition, and learned by apprenticeship from one generation of illiterate poets to the next. The poem is composed orally and extemporaneously, and the archive of tradition on which it draws is oral, pagan, Germanic, heroic, and tribal. On the other hand, one might posit a poem which is composed by a literate scribe, who acquired literacy by way of learning Latin (and absorbing Latinate culture and ways of thinking), probably a monk and therefore profoundly Christian in outlook. On this view, the pagan references would be a sort of decorative archaising. There is a third view that sees merit in both arguments above and attempts to bridge them, and so cannot be articulated as starkly as they can; it sees more than one Christianity and more than one attitude towards paganism at work in the poem; it sees the poem as initially the product of a literate Christian author with one foot in the pagan world and one in the Christian, himself perhaps a convert (or one whose forebears had been pagan), a poet who was conversant in both oral and literary composition and was capable of a masterful "repurposing" of poetry from the oral tradition. However, scholars such as D.K. Crowne have proposed the idea that the poem was passed down from reciter to reciter under the theory of oral-formulaic composition, which hypothesises that epic poems were (at least to some extent) improvised by whoever was reciting them, and only much later written down. In his landmark work, The Singer of Tales, Albert Lord refers to the work of Francis Peabody Magoun and others, saying "the documentation is complete, thorough, and accurate. This exhaustive analysis is in itself sufficient to prove that Beowulf was composed orally." Examination of Beowulf and other Old English literature for evidence of oral-formulaic composition has met with mixed response. While "themes" (inherited narrative subunits for representing familiar classes of event, such as the "arming the hero", or the particularly well-studied "hero on the beach" theme) do exist across Anglo-Saxon and other Germanic works, some scholars conclude that Anglo-Saxon poetry is a mix of oral-formulaic and literate patterns, arguing that the poems both were composed on a word-by-word basis and followed larger formulae and patterns. Larry Benson argued that the interpretation of Beowulf as an entirely formulaic work diminishes the ability of the reader to analyse the poem in a unified manner, and with due attention to the poet's creativity. Instead, he proposed that other pieces of Germanic literature contain "kernels of tradition" from which Beowulf borrows and expands upon. A few years later, Ann Watts argued against the imperfect application of one theory to two different traditions: traditional, Homeric, oral-formulaic poetry and Anglo-Saxon poetry. Thomas Gardner agreed with Watts, arguing that the Beowulf text is of too varied a nature to be completely constructed from set formulae and themes. John Miles Foley wrote, referring to the Beowulf debate, that while comparative work was both necessary and valid, it must be conducted with a view to the particularities of a given tradition; Foley argued with a view to developments of oral traditional theory that do not assume, or depend upon, ultimately unverifiable assumptions about composition, and instead delineate a more fluid continuum of traditionality and textuality. Finally, in the view of Ursula Schaefer, the question of whether the poem was "oral" or "literate" becomes something of a red herring. In this model, the poem is created, and is interpretable, within both noetic horizons. Schaefer's concept of "vocality" offers neither a compromise nor a synthesis of the views which see the poem as on the one hand Germanic, pagan, and oral and on the other Latin-derived, Christian, and literate, but, as stated by Monika Otter: "... a 'tertium quid', a modality that participates in both oral and literate culture yet also has a logic and aesthetic of its own." Icelandic scholar Grímur Jónsson Thorkelin made the first transcriptions of the manuscript in 1786 and published the results in 1815, working as part of a Danish government historical research commission. 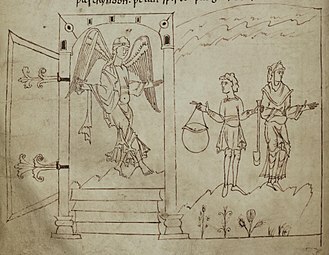 He made one himself, and had another done by a professional copyist who knew no Anglo-Saxon. Since that time, however, the manuscript has crumbled further, making these transcripts a prized witness to the text. While the recovery of at least 2000 letters can be attributed to them, their accuracy has been called into question,[c] and the extent to which the manuscript was actually more readable in Thorkelin's time is uncertain. A great number of translations and adaptations are available, in poetry and prose. Andy Orchard, in A Critical Companion to Beowulf, lists 33 "representative" translations in his bibliography, while the Arizona Center for Medieval and Renaissance Studies published Marijane Osborn's annotated list of over 300 translations and adaptations in 2003. Beowulf has been translated into at least 23 other languages. In 1805, the historian Sharon Turner translated selected verses into modern English. This was followed in 1814 by John Josias Conybeare who published an edition "in English paraphrase and Latin verse translation." In 1815, Grímur Jónsson Thorkelin published the first complete edition in Latin. N. F. S. Grundtvig reviewed this edition in 1815 and created the first complete verse translation in Danish in 1820. In 1837, John Mitchell Kemble created an important literal translation in English. In 1895, William Morris & A. J. Wyatt published the ninth English translation. Many retellings of Beowulf for children began appearing in the 20th century. In 1909, Francis Barton Gummere's full translation in "English imitative meter" was published, and was used as the text of Gareth Hinds's graphic novel based on Beowulf in 2007. First published in 1928, Frederick Klaeber's Beowulf and The Fight at Finnsburg (which included the poem in Old English, an extensive glossary of Old English terms, and general background information) became the "central source used by graduate students for the study of the poem and by scholars and teachers as the basis of their translations." Seamus Heaney's 1999 translation of the poem (referred to by Howell Chickering and many others as "Heaneywulf") was widely publicized. R. D. Fulk, of Indiana University, published the first facing-page edition and translation of the entire Nowell Codex manuscript in the Dumbarton Oaks Medieval Library series in 2010. Following research in the King's College London Archives, Carl Kears proposed that John Porter's translation, published in 1975 by Bill Griffiths' Pirate Press, was the first complete verse translation of the poem entirely accompanied by facing-page Old English. Translating Beowulf is one of the subjects of the 2012 publication Beowulf at Kalamazoo, containing a section with 10 essays on translation, and a section with 22 reviews of Heaney's translation (some of which compare Heaney's work with that of Anglo-Saxon scholar Roy Liuzza). J. R. R. Tolkien's long-awaited translation (edited by his son, Christopher) was published in 2014 as Beowulf: A Translation and Commentary. This also includes Tolkien's own retelling of the story of Beowulf in his tale, Sellic Spell. Maria Dahvana Headley published 'The Mere Wife' in 2018, retelling the story from the point of view of Grendel's Mother. Neither identified sources nor analogues for Beowulf can be definitively proven, but many conjectures have been made. These are important in helping historians understand the Beowulf manuscript, as possible source-texts or influences would suggest time-frames of composition, geographic boundaries within which it could be composed, or range (both spatial and temporal) of influence (i.e. when it was "popular" and where its "popularity" took it). 19th century studies proposed that Beowulf was translated from a lost original Scandinavian work, but this idea was quickly abandoned. But Scandinavian works have continued to be studied as a possible source. Proponents included Gregor Sarrazin [de] writing in 1886 that an Old Norse original version of Beowulf must have existed, but that view was later debunked by Carl Wilhelm von Sydow [de] (1914) who pointed out that Beowulf is fundamentally Christian and written at a time when any Norse tale would have most likely been pagan. The epic's possible connection to Grettis saga was made early on by Guðbrandur Vigfússon (1878). Grettis saga is a family saga, and a story about Grettir Ásmundarson [is], a great-grandson of an Icelandic settler, cannot be comparably as old as Beowulf. Axel Olrik (1903) claimed that on the contrary, this saga was a reworking of Beowulf, and others had followed suit. However, Friedrich Panzer [de] (1910) wrote a thesis in which both Beowulf and Grettis saga drew from a common folkloric source, and this encouraged even a detractor such W. W. Lawrence to reposition his view, and entertain the possibility that certain elements in the saga (such as the waterfall in place of the mere) retained an older form. The viability of this connection has enjoyed enduring support, and was characterized as one of the few Scandinavian analogues to receive a general consensus of potential connection by Theodore M. Andersson [de] (1998). But that same year, Magnús Fjalldal published a volume challenging the perception that there is a close parallel, and that tangential similarities were being overemphasized as analogies. Another candidate for a cogener analogue or possible source is the story of Hrolf kraki and his servant, the legendary bear-shapeshifter Bodvar Bjarki. The story survives in Old Norse Hrólfs saga kraka and Saxo's Gesta Danorum. 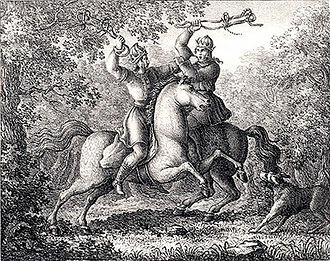 Hrolf kraki, one of the Skjöldungs, even appears as "Hrothulf" in the Anglo-Saxon epic. Hence a story about him and his followers may have developed as early as the 6th century. Friedrich Panzer (1910) wrote a thesis that the first part of Beowulf (the Grendel Story) incorporated preexisting folktale material, and that the folktale in question was of the Bear's Son Tale (Bärensohnmärchen) type, which has surviving examples all over the world. This tale type was later catalogued as international folktale type 301, now formally entitled "The Three Stolen Princesses" type in Hans Uther's catalogue, although the "Bear's Son" is still used in Beowulf criticism, if not so much in folkloristic circles. However, although this folkloristic approach was seen as a step in the right direction, "The Bear's Son" tale has later been regarded by many as not a close enough parallel to be a viable choice. Later, Peter Jørgensen, looking for a more concise frame of reference, coined a "two-troll tradition" that covers both Beowulf and Grettis saga: "a Norse 'ecotype' in which a hero enters a cave and kills two giants, usually of different sexes"; which has emerged as a more attractive folk tale parallel, according to a 1998 assessment by Andersson [Andersson|de]. James Carney and Martin Puhvel also agree with this "Hand and the Child" contextualisation. [h] Puhvel supported the "Hand and the Child" theory through such motifs as (in Andersson's words) "the more powerful giant mother, the mysterious light in the cave, the melting of the sword in blood, the phenomenon of battle rage, swimming prowess, combat with water monsters, underwater adventures, and the bear-hug style of wrestling." Attempts to find classical or Late Latin influence or analogue in Beowulf are almost exclusively linked with Homer's Odyssey or Virgil's Aeneid. In 1926, Albert S. Cook suggested a Homeric connection due to equivalent formulas, metonymies, and analogous voyages. In 1930, James A. Work also supported the Homeric influence, stating that encounter between Beowulf and Unferth was parallel to the encounter between Odysseus and Euryalus in Books 7–8 of the Odyssey, even to the point of both characters giving the hero the same gift of a sword upon being proven wrong in their initial assessment of the hero's prowess. 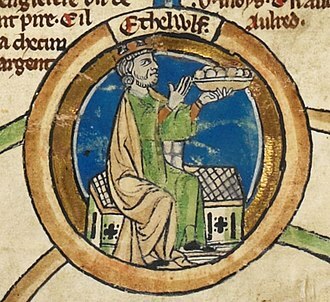 This theory of Homer's influence on Beowulf remained very prevalent in the 1920s, but started to die out in the following decade when a handful of critics stated that the two works were merely "comparative literature", although Greek was known in late 7th century England: Bede states that Theodore of Tarsus, a Greek, was appointed Archbishop of Canterbury in 668, and he taught Greek. Several English scholars and churchmen are described by Bede as being fluent in Greek due to being taught by him; Bede claims to be fluent in Greek himself. Frederick Klaeber, among others, argued for a connection between Beowulf and Virgil near the start of the 20th century, claiming that the very act of writing a secular epic in a Germanic world represents Virgilian influence. Virgil was seen as the pinnacle of Latin literature, and Latin was the dominant literary language of England at the time, therefore making Virgilian influence highly likely. 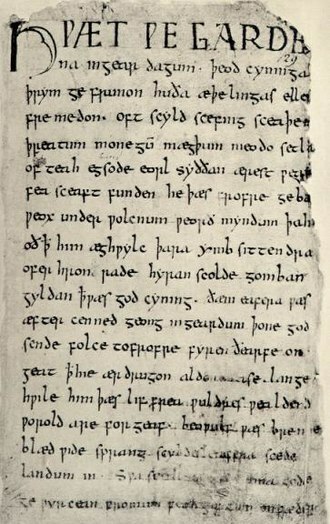 Similarly, in 1971, Alistair Campbell stated that the apologue technique used in Beowulf is so rare in epic poetry aside from Virgil that the poet who composed Beowulf could not have written the poem in such a manner without first coming across Virgil's writings. It cannot be denied that Biblical parallels occur in the text, whether seen as a pagan work with "Christian colouring" added by scribes or as a "Christian historical novel, with selected bits of paganism deliberately laid on as 'local colour'," as Margaret E. Goldsmith did in "The Christian Theme of Beowulf". Beowulf channels the Book of Genesis, the Book of Exodus, and the Book of Daniel in its inclusion of references to the Genesis creation narrative, the story of Cain and Abel, Noah and the flood, the Devil, Hell, and the Last Judgment. The poem mixes the West Saxon and Anglian dialects of Old English, though it predominantly uses West Saxon, as do other Old English poems copied at the time. There is a wide array of linguistic forms in the Beowulf manuscript. It is this fact that leads some scholars to believe that Beowulf has endured a long and complicated transmission through all the main dialect areas. The poem retains a complicated mix of the following dialectical forms: Mercian, Northumbrian, Early West Saxon, Kentish and Late West Saxon. :20–21 There are in Beowulf more than 3100 distinct words, and almost 1300 occur exclusively, or almost exclusively, in this poem and in the other poetical texts. Considerably more than one-third of the total vocabulary is alien from ordinary prose use. There are, in round numbers, three hundred and sixty uncompounded verbs in Beowulf, and forty of them are poetical words in the sense that they are unrecorded or rare in the existing prose writings. One hundred and fifty more occur with the prefix ge- (reckoning a few found only in the past-participle), but of these one hundred occur also as simple verbs, and the prefix is employed to render a shade of meaning which was perfectly known and thoroughly familiar except in the latest Anglo-Saxon period. The nouns number sixteen hundred. Seven hundred of them, including those formed with prefixes, of which fifty (or considerably more than half) have ge-, are simple nouns, at the highest reckoning not more than one-quarter is absent in prose. That this is due in some degree to accident is clear from the character of the words, and from the fact that several reappear and are common after the Norman Conquest. An Old English poem such as Beowulf is very different from modern poetry. Anglo-Saxon poets typically used alliterative verse, a form of verse in which the first half of the line (the a-verse) is linked to the second half (the b-verse) through similarity in initial sound. In addition, the two halves are divided by a caesura: "Oft Scyld Scefing \\ sceaþena þreatum" (l. 4). This verse form maps stressed and unstressed syllables onto abstract entities known as metrical positions. There is no fixed number of beats per line: the first one cited has three (Oft SCYLD SCEFING, with ictus on the suffix -ING) whereas the second has two (SCEAþena ÞREATum). The poet has a choice of epithets or formulae to use in order to fulfil the alliteration. When speaking or reading Old English poetry, it is important to remember for alliterative purposes that many of the letters are not pronounced in the same way as in modern English. The letter ⟨h⟩, for example, is always pronounced (Hroðgar: [ˈhroðgar]), and the digraph ⟨cg⟩ is pronounced [dʒ], as in the word edge. Both ⟨f⟩ and ⟨s⟩ vary in pronunciation depending on their phonetic environment. Between vowels or voiced consonants, they are voiced, sounding like modern ⟨v⟩ and ⟨z⟩, respectively. Otherwise they are unvoiced, like modern ⟨f⟩ in fat and ⟨s⟩ in sat. Some letters which are no longer found in modern English, such as thorn, ⟨þ⟩, and eth, ⟨ð⟩ – representing both pronunciations of modern English ⟨th⟩, as /θ/ in thing and /ð/ this – are used extensively both in the original manuscript and in modern English editions. The voicing of these characters echoes that of ⟨f⟩ and ⟨s⟩. Both are voiced (as in this) between other voiced sounds: oðer, laþleas, suþern. Otherwise they are unvoiced (as in thing): þunor, suð, soþfæst. Kennings are also a significant technique in Beowulf. They are evocative poetic descriptions of everyday things, often created to fill the alliterative requirements of the metre. For example, a poet might call the sea the "swan-road" or the "whale-road"; a king might be called a "ring-giver." There are many kennings in Beowulf, and the device is typical of much of classic poetry in Old English, which is heavily formulaic. The poem also makes extensive use of elided metaphors. J. R. R. Tolkien argued in Beowulf: The Monsters and the Critics that the poem is not an epic, and while no conventional term exactly fits, the nearest would be elegy. The history of modern Beowulf criticism is often said to begin with J. R. R. Tolkien, author and Merton professor of Anglo-Saxon at University of Oxford, who in his 1936 lecture to the British Academy criticised his contemporaries' excessive interest in its historical implications. [citation not found] He noted in Beowulf: The Monsters and the Critics that as a result the poem's literary value had been largely overlooked and argued that the poem "is in fact so interesting as poetry, in places poetry so powerful, that this quite overshadows the historical content..."
In historical terms, the poem's characters would have been Norse pagans (the historical events of the poem took place before the Christianisation of Scandinavia), yet the poem was recorded by Christian Anglo-Saxons who had mostly converted from their native Anglo-Saxon paganism around the 7th century – both Anglo-Saxon paganism and Norse paganism share a common origin as both are forms of Germanic paganism. Beowulf thus depicts a Germanic warrior society, in which the relationship between the lord of the region and those who served under him was of paramount importance. In terms of the relationship between characters in Beowulf to God, one might recall the substantial amount of paganism that is present throughout the work. Literary critics such as Fred C. Robinson argue that the Beowulf poet arguably tries to send a message to readers during the Anglo-Saxon time period regarding the state of Christianity in their own time. Robinson argues that the intensified religious aspects of the Anglo-Saxon period inherently shape the way in which the Poet alludes to paganism as presented in Beowulf. The Poet arguably calls on Anglo-Saxon readers to recognize the imperfect aspects of their supposed Christian lifestyles. In other words, the Poet is referencing their "Anglo-Saxon Heathenism." In terms of the characters of the epic itself, Robinson argues that readers are "impressed" by the courageous acts of Beowulf and the speeches of Hrothgar (181). But one is ultimately left to feel sorry for both men as they are fully detached from supposed "Christian truth" (181). The relationship between the characters of Beowulf, and the overall message of the Poet, regarding their relationship with God is largely debated among readers and literary critics alike. At the same time, Richard North argues that the Beowulf poet interpreted "Danish myths in Christian form" (as the poem would have served as a form of entertainment for a Christian audience), and states: "As yet we are no closer to finding out why the first audience of Beowulf liked to hear stories about people routinely classified as damned. This question is pressing, given... that Anglo-Saxons saw the Danes as 'heathens' rather than as foreigners." Grendel's mother and Grendel are described as descendants of Cain, a fact which some scholars link to the Cain tradition. That the scribes of Cotton Vitellius A.XV were Christian beyond doubt, and it is equally sure that Beowulf was composed in a Christianised England since conversion took place in the sixth and seventh centuries. The only Biblical references in Beowulf are to the Old Testament, and Christ is never mentioned. The poem is set in pagan times, and none of the characters is demonstrably Christian. In fact, when we are told what anyone in the poem believes, we learn that they are pagans. Beowulf's own beliefs are not expressed explicitly. He offers eloquent prayers to a higher power, addressing himself to the "Father Almighty" or the "Wielder of All." Were those the prayers of a pagan who used phrases the Christians subsequently appropriated? Or, did the poem's author intend to see Beowulf as a Christian Ur-hero, symbolically refulgent with Christian virtues? The location of the composition of the poem is also intensely disputed. In 1914, F.W. Moorman, the first professor of English Language at University of Leeds, claimed that Beowulf was composed in Yorkshire, but E. Talbot Donaldson claims that it was probably composed more than twelve hundred years ago, during the first half of the eighth century, and that the writer was a native of what was then called West Mercia, located in the Western Midlands of England. However, the late tenth-century manuscript "which alone preserves the poem" originated in the kingdom of the West Saxons – as it is more commonly known. Donaldson wrote that "the poet who put the materials into their present form was a Christian and ... poem reflects a Christian tradition". Stanley B. Greenfield has suggested that references to the human body throughout Beowulf emphasise the relative position of thanes to their lord. He argues that the term "shoulder-companion" could refer to both a physical arm as well as a thane (Aeschere) who was very valuable to his lord (Hrothgar). With Aeschere's death, Hrothgar turns to Beowulf as his new "arm." Also, Greenfield argues the foot is used for the opposite effect, only appearing four times in the poem. It is used in conjunction with Unferð (a man described by Beowulf as weak, traitorous, and cowardly). Greenfield notes that Unferð is described as "at the king's feet" (line 499). Unferð is also a member of the foot troops, who, throughout the story, do nothing and "generally serve as backdrops for more heroic action." Daniel Podgorski has argued that the work is best understood as an examination of inter-generational vengeance-based conflict, or feuding. In this context, the poem operates as an indictment of feuding conflicts as a function of its conspicuous, circuitous, and lengthy depiction of the Geatish-Swedish wars—coming into contrast with the poem's depiction of the protagonist Beowulf as being disassociated from the ongoing feuds in every way. ^ "wíg" means "fight, battle, war, conflict" and "láf" means "remnant, left-over"
^ That is, R.D. Fulk's 1992 A History of Old English Meter. ^ For instance, by Chauncey Brewster Tinker in The Translations of Beowulf, a comprehensive survey of 19th-century translations and editions of Beowulf. ^ Ecclesiastical or biblical influences are only seen as adding "Christian color", in Andersson's survey. Old English sources hinges on the hypothesis that Genesis A predates Beowulf. ^ Ludwig Laistner (1889), II, p. 25; Stopford Brooke, I, p. 120; Albert S. Cook (1899) pp. 154–156. ^ In the interim, Max Deutschbein [de] (1909) is credited by Andersson to be the first person to present the Irish argument in academic form. He suggested the Irish Feast of Bricriu (which is not a folktale) as a source for Beowulf—a theory that was soon denied by Oscar Olson. ^ von Sydow was also anticipated by Heinz Dehmer in the 1920s as well besides the writers from the 19th century in pointing out "The Hand and the Child" as a parallel. ^ Carney also sees the Táin Bó Fráech story (where a half-fairy hero fights a dragon in the "Black Pool (Dubh linn)"), but this has not received much support for forty years, as of Andersson's writing. ^ Hanna, Ralph (2013). Introducing English Medieval Book History: Manuscripts, their Producers and their Readers. Liverpool University Press. ISBN 9780859898713. Retrieved 6 October 2017. ^ "Beowulf". Collins English Dictionary. ^ Robinson 2001: 'Like most Old English stories, Beowulf has no title in the unique manuscript in which it survives (British Library, Cotton Vitellius A.xv, which was copied round the year 1000 AD), but modern scholars agree in naming it after the hero whose life is its subject'. ^ Mitchell & Robinson 1998, p. 6. ^ Greenblatt, Stephen; Simpson, James; David, Alfred, eds. (2012). The Norton Anthology of English Literature (Ninth ed.). New York: W. W. Norton & Company. pp. 36–39. ISBN 9780393912494. ^ Newton, Sam (1993). The Origins of Beowulf and the Pre-Viking Kingdom of East Anglia. Woodbridge, Suffolk, ENG: Boydell & Brewer. ISBN 978-0-85991-361-4. ^ Waugh, Robin (1997). "Literacy, Royal Power, and King-Poet Relations in Old English and Old Norse Compositions". Comparative Literature. 49 (4): 289–315. doi:10.2307/1771534. JSTOR 1771534. ^ Noted, for example, by John Grigsby, Beowulf & Grendel 2005:12. ^ a b Niles, John D. (October 2006). "Beowulf's Great Hall". History Today. 56 (10): 40–44. ^ a b Nerman, Birger (1925). Det svenska rikets uppkomst. Stockholm. ^ "Wíg". Bosworth-Toller Anglo-Saxon Dictionary. Retrieved 23 October 2014. ^ "Láf". Bosworth-Toller Anglo-Saxon Dictionary. Retrieved 23 October 2014. ^ Simpson, James (2012). The Norton Anthology of English Literature vol. A. New York: W. W. Norton & Company. p. 58. ^ Simpson, James (2012). The Norton Anthology of English Literature vol. A. New York: W. W. Norton & Company. p. 70. ^ Hansen, E. T. (2008). "Hrothgar's 'sermon' in Beowulf as parental wisdom". Anglo-Saxon England. 10. doi:10.1017/S0263675100003203. ^ Beowulf (PDF), SA: MU . ^ Lord, Albert (2000). The Singer of Tales, Volume 1. Cambridge, MA: Harvard University Press. p. 200. ISBN 9780674002838. ^ Tolkien, J.R.R. (1997). Beowulf: The Monsters and the Critics. Gale. ^ a b Neidorf, Leonard; Pascual, Rafael (2014). "The Language of Beowulf and the Conditioning of Kaluza's Law". Neophilologus. 98 (4). pp. 657–73. doi:10.1007/s11061-014-9400-x. ^ a b Fulk, R.D. (2007). "Old English Meter and Oral Tradition: Three Issues Bearing on Poetic Chronology". Journal of English and Germanic Philology. 106. pp. 304–24. JSTOR 27712658. ^ Lapidge, M. (2000). "The Archetype of Beowulf". Anglo-Saxon England. 29. pp. 5–41. doi:10.1017/s0263675100002398. ^ Cronan, D (2004). "Poetic Words, Conservatism, and the Dating of Old English Poetry". Anglo-Saxon England. 33. pp. 23–50. ^ Weiskott, Eric (2013). "Phantom Syllables in the English Alliterative Tradition". Modern Philology. 110 (4). pp. 441–58. doi:10.1086/669478. ^ "Cotton MS Vitellius A XV". British Library. Retrieved 30 May 2014. ^ Kiernan, Kevin S. (1998). "Speculum". Speculum. 73 (3): 879–881. doi:10.2307/2887546. JSTOR 2887546. ^ a b c Kiernan, Kevin (1981). Beowulf and the Beowulf Manuscript (1 ed.). New Brunswick: Rutgers University Press. ISBN 9780472084128. Retrieved October 6, 2017. ^ Joy 2005, p. 2. ^ Joy 2005, p. 24. ^ Kiernan 1996, pp. 73–74. ^ Kiernan, Kevin (16 January 2014). "Electronic Beowulf 3.0". U of Kentucky. Retrieved 19 November 2014. ^ a b Swanton, Michael (1997). Beowulf: Revised Edition. Manchester: Manchester University Press. p. 2. ISBN 978-0719051463. Retrieved 14 September 2017. ^ Leonard Neidorf (2013). "Scribal errors of proper names in the Beowulf manuscript". Anglo-Saxon England. 42. pp. 249–69. doi:10.1017/s0263675113000124. ^ Lapidge, Michael (1996). Anglo-Latin literature, 600–899. London: Hambledon Press. p. 299. ISBN 978-1-85285-011-1. ^ Lord 1960, p. 198. ^ a b Zumthor 1984, pp. 67–92. ^ Gardner, Thomas. "How Free Was the Beowulf Poet?" Modern Philology. 1973. pp. 111–27. ^ Bäuml, Franz H. "Varieties and Consequences of Medieval Literacy and Illiteracy", Speculum, Vol. 55, No. 2 (1980), pp. 243–44. ^ Otter, Monika. "Vokalitaet: Altenglische Dichtung zwischen Muendlichkeit und Schriftlichkeit". Bryn Mawr Classical Review. Retrieved 19 April 2010. ^ Orchard 2003a, pp. 4, 329–30. ^ Osborn, Marijane (2003). "Annotated List of Beowulf Translations: Introduction". Arizona Centre for Medieval and Renaissance Studies. ^ Schulman & Szarmach 2012, p. 4. ^ a b c d e f g Osborn, Marijane. "Annotated List of Beowulf Translations". Archived from the original on 21 November 2014. Retrieved 21 November 2014. ^ Sims, Harley J. (2012). "Rev. of Fulk, Beowulf". The Heroic Age. 15. ^ Kears, Carl (10 January 2018). "Eric Mottram and Old English: Revival and Re-Use in the 1970s". The Review of English Studies. 69 (290): 430–454. doi:10.1093/res/hgx129 – via Oxford Academic. ^ Geremia, Silvia (2007). "A Contemporary Voice Revisits the past: Seamus Heaney's Beowulf". Journal of Irish Studies (2): 57. ^ Acocella, Joan (2 June 2014). "Slaying Monsters: Tolkien's 'Beowulf'". The New Yorker. Retrieved 2 June 2014. ^ Kay, Jennifer (16 July 2018). "Review: 'The Mere Wife' explores 'Beowulf' in the suburbs". Washington Post. Retrieved 25 July 2018. ^ Andersson 1998, pp. 125, 129. ^ Andersson 1998, pp. 130–131. ^ a b c d e Andersson 1998, p. 130. ^ a b c Andersson 1998, p. 135. ^ Andersson 1998, pp. 130–31. ^ Andersson 1998, p. 125. ^ Magnús Fjalldal (1998). The long arm of coincidence: the frustrated connection between Beowulf and Grettis saga. University of Toronto Press. ISBN 978-0-8020-4301-6. ^ Chambers 1921, p. 55. ^ Andersson 1998, pp. 137, 146. ^ Andersson 1998, p. 134. ^ Andersson 1998, p. 146. ^ (Vickrey 2009, p. 209): "I shall continue to use the term Bear's Son for the folktale in question; it is established in Beowulf criticism and certainly Stitt has justified its retention". ^ a b Puhvel 1979, p. 2–3. ^ a b Andersson 1998, p. 136. ^ Andersson 1998, p. 137. ^ Andersson 1998, p. 138. ^ Andersson 1998, pp. 140–41. ^ a b Irving, Edward B., Jr. "Christian and Pagan Elements." A Beowulf Handbook. Eds. Bjork, Robert E. and John D. Niles. Lincoln, Nebraska: University of Nebraska Press, 1998. 175–92. Print. ^ Andersson 1998, pp. 142–43. ^ Slade, Benjamin (21 December 2003). "An Introduction to the Structure & Making of the Old English poem known as Beowulf or The Beowulf and the Beowulf-codex of the British Museum MS Cotton Vitellius A.xv". Beowulf on Steorarume. Retrieved 18 January 2017. ^ Tuso, Joseph F (1985). "Beowulf's Dialectal Vocabulary and the Kiernan Theory". South Central Review. 2 (2): 1–9. doi:10.2307/3189145. JSTOR 3189145. ^ Greenblatt, Stephen; Abrams, Meyer Howard, eds. (2006). The Norton Anthology of English Literature (8th ed.). New York: W. W. Norton. p. 29. ISBN 9780393928303. Retrieved 6 October 2017. ^ Tolkien 1997, p. 31. ^ Orchard 2003a, p. 7. ^ Tolkien 2006, p. 7. ^ Tolkien 1958, p. 7. ^ Leyerle, John (1991). "The Interlace Structure of Beowulf". In Fulk, Robert Dennis. Interpretations of Beowulf: A Critical Anthology. Indiana UP. pp. 146–67. ISBN 978-0-253-20639-8. Retrieved 17 August 2013. ^ North 2006, p. 195. ^ Yeager, Robert F. "Why Read Beowulf?". National Endowment For The Humanities. Retrieved 2 October 2007. ^ Greenfield 1989, p. 59. ^ Greenfield 1989, p. 61. ^ a b Podgorski, Daniel (3 November 2015). "Ending Unending Feuds: The Portent of Beowulf's Historicization of Violent Conflict". The Gemsbok. Retrieved 13 February 2018. Anderson, Sarah, ed. (2004), Introduction and historical/cultural contexts, Longman Cultural, ISBN 978-0-321-10720-6 . Chickering, Howell D. (2002), "Beowulf and 'Heaneywulf': review", The Kenyon Review, new, 24 (1): 160–78 . Heaney, Seamus (2000), Beowulf: A New Verse Translation, W.W. Norton & Company . Joy, Eileen A. (2005), "Thomas Smith, Humfrey Wanley, and the 'Little-Known Country' of the Cotton Library" (PDF), Electronic British Library Journal, retrieved 19 November 2014 . Kiernan, Kevin (1996), Beowulf and the Beowulf Manuscript, Ann Arbor, MI: University of Michigan, ISBN 978-0-472-08412-8 . Lord, Albert (1960), The Singer of Tales, Cambridge, MA: Harvard University Press, ISBN 9780674002838 . Mitchell, Bruce; Robinson, Fred C (1998), Beowulf: an edition with relevant shorter texts, Oxford, UK; Malden, MA: Blackwell, ISBN 9780631172260 . Nicholson, Lewis E, ed. (1963), An Anthology of Beowulf Criticism, Notre Dame: University of Notre Dame Press, ISBN 978-0-268-00006-6 . Puhvel, Martin (2010). Beowulf and the Celtic Tradition. Wilfrid Laurier Univ. Press. ISBN 9781554587698. Saltzman, Benjamin A (2018), "Secrecy and the Hermeneutic Potential in Beowulf", PMLA . Tolkien, John Ronald Reuel (1997) . Beowulf: The Monsters and the Critics and other essays. London: Harper Collins. Tolkien, John Ronald Reuel (1958). Beowulf: The Monsters and the Critics and other essays. London: Harper Collins. Grendels mother is one of three antagonists in the anonymous Old English poem Beowulf. She is introduced in lines 1258b to 1259a as, Grendles modor/ides, Grendels mother is the subject of ongoing controversy among medieval scholars. This is due to the ambiguity of a few words in Old English which appear in the original Beowulf manuscript, while there is consensus over the word modor, the phrase ides, aglæcwif is the subject of scholarly debate. The poem, Beowulf, is contained in the Nowell Codex, as noted in lines 106-114 and lines 1260-1267 of Beowulf, monsters are descendants of Cain. After Grendel is killed, Grendels mother attacks Heorot in revenge, Beowulf ventures into her cave under a lake, and engages in fierce combat with Grendels mother. She nearly kills him until he sees a sword and instead kills her. Beowulf returns to the surface and to his men at the ninth hour, some scholars have argued that the female characters in Beowulf fulfill certain established roles such as hostess and peace-weaver. Grendels mother and Modthryth, who challenge these roles, represent monster-women, in contrast, she argued that the three-part structure has become increasingly popular. She developed this argument in Woman as Hero in Old English Literature, there is ongoing debate among medieval scholars concerning the ambiguity of a few words in Old English which appear in the original Beowulf manuscript. Because these terms are ambiguous, scholars disagree over aspects of her nature, in heroic terms, her vengeance for the death of her kinsman Grendel. This lack of consensus has led to the production of a few seminal texts by scholars over the past few decades, one important focus of these articles and books concerns the numerous, and at times opposing, translations of especially the Old English compound ides aglæcwif. Until the late 1970s, all scholarship on Grendels mother and translations of the phrase aglæc-wif were influenced by the edition of noted Beowulf scholar Frederick Klaeber. His edition and the Fight at Finnsburg, has considered a standard in Beowulf scholarship since its first publication in 1922. Sir Robert Bruce Cotton, 1st Baronet of Conington Hall in the parish of Conington in Huntingdonshire, was a Member of Parliament and an antiquarian who founded the Cotton library. The Cotton family originated at the manor of Cotton in Cheshire, Cotton was educated at Westminster School where he was a pupil of the antiquarian William Camden, under whose influence he began to study antiquarian topics. He began collecting notes on the history of Huntingdonshire when he was seventeen and he proceeded to Jesus College, where he graduated BA in 1585 and in 1589 entered the Middle Temple to study law. He began to amass a library in which the documents rivalled, Cotton was elected a Member of Parliament for Newtown, Isle of Wight in 1601 and as Knight of the Shire for Huntingdonshire in 1604. From the Court partys point of view, this was anti-royalist in nature, thus it was confiscated in 1630 and returned only after his death to his heirs. He was subsequently elected to Parliament for Old Sarum, Cotton was elected to parliament for Huntingdonshire in 1604, a constituency previously represented by his grandfather. Cotton worked on the Committee on Grievances and in 1605–06 received the Bill pertaining to the Gunpowder Plot through his work on the Committee of Privileges, in 1607 he was reappointed to the Committee of Privileges. Cotton was appointed to the joint conference with the Lords during his work on the bill pertaining to the union between Scotland and England in 1606–07. In 1610 Cotton was nominated in first place to the Committee of Privileges, in 1610/11 the royal revenues were low, and Cotton wrote Means for raising the king’s estate. In this work he suggested the formation of the baronetcy a new order of social rank, higher than the knight. Cotton was not elected to the 1614 Parliament, in 1621 Cotton advised James I on the impeachment of Sir Francis Bacon concerning the respective roles of king and Parliament. In 1624 Cotton was elected to represent Old Sarum after the member, Sir Arthur Ingram. According to the Oxford Dictionary of National Biography, Cotton reunited with his former school-master William Camden in the late 1580s as a member of the Society of Antiquaries of London. Lejre is a town with a population of 2,415 in Lejre Municipality on the island of Zealand in east Denmark. The towns Old Norse name was Hleiðr or Hleiðargarðr, the municipality has an area of 240 km² and a total population of ca. The municipal seat is Kirke Hvalsø, Lejre was the capital of an Iron Age kingdom sometimes referred to as the Lejre Kingdom. According to early legends, this was ruled by kings of the Skjöldung dynasty, among other works of the medieval imagination that tell of adventures at Lejre, the best known is the fourteenth-century Icelandic Saga of King Hrolf Kraki. Archeological excavations undertaken since the 1980s have produced dramatic confirmation that medieval legends of Lejre, research teams led by archaeologist Tom Christensen of Roskilde Museum have uncovered the remains of an extensive Iron Age and Viking Age settlement complex just outside the hamlet of Gammel Lejre. Discovered here were the post-holes for a series of rectangular buildings measuring fifty to sixty meters in length or more. Wiglaf is a character in the Anglo-Saxon epic poem Beowulf. He is the son of Weohstan, a Swede of the Wægmunding clan who had entered the service of Beowulf, Wiglaf is called Scylfing as a metonym for Swede, as the Scylfings were the ruling Swedish clan. While in the service of the Scylfing Onela, king of the Swedes, Weohstan killed the rebel prince Eanmund and took his sword as a trophy, Wiglaf inherited it. Weohstan belonged to the clan of the Wægmundings, the same clan Beowulfs father Ecgþeow belonged to, so Wiglaf is Beowulfs distant cousin, and his only living relative at the time of Beowulfs death. Wiglaf first appears in Beowulf at line 2602, as a member of the band of thanes who go with Beowulf to seek out the dragon that has attacked Geat-Land and this is the first time Wiglaf has gone to war at Beowulfs side. He is called a praise-worthy shield-warrior, a prince of the Scylfings, when Beowulf damages his sword wounding the dragon and is burned by the dragons fire, Wiglaf is the only man of Beowulfs band to overcome his fear of the dragon. He rebukes the other thanes and goes to Beowulfs aid crying words of encouragement, Wiglaf does not retreat, though his shield is consumed by fire. When Beowulf wounds the dragon a second time, striking so hard his sword shatters, Wiglaf strikes at the wound with his own sword. His hand is burned, but his attack allows Beowulf to close. The poet says of Wiglaf, So should a man be, at Beowulfs command, Wiglaf gathers treasure from the dragons lair and piles it where Beowulf can see it. The dying Beowulf tells Wiglaf to watch his peoples needs He tells Wiglaf to build him a mound and gives Wiglaf his rings, helm. He says that Wiglaf is now the last of the Wægmundings, the other eleven men that came with Beowulf gather around the body, and Wiglaf condemns them for their failure of duty and declares that he will order them exiled. He sends a messenger to tell the other Geats what has happened, when the Geats have gathered, Wiglaf addresses them, mourning Beowulfs death and expressing dismay at the bleak future of the Geats without Beowulf to guard them. Sutton Hoo, near Woodbridge, Suffolk, is the site of two 6th- and early 7th-century cemeteries. The site is in the care of the National Trust, Sutton Hoo is of primary importance to early medieval historians because it sheds light on a period of English history that is on the margin between myth and historical documentation. The site has been vital in understanding the Anglo-Saxon Kingdom of East Anglia, the initial excavation was privately sponsored by the landowner. 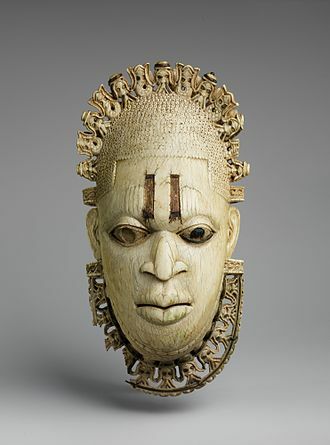 When the significance of the find became apparent, national experts took over, subsequent archaeological campaigns, particularly in the late 1960s and late 1980s, have explored the wider site and many other individual burials. The ship-burial has, from the time of its discovery, prompted comparisons with the world described in the heroic Old English poem Beowulf, which is set in southern Sweden. The other, called here the new ground, is situated on a second hill-spur close to the present Exhibition Hall. It was discovered and partially explored in 2000 during preliminary work for the construction of the hall and this had burials under mounds, but was not known because these mounds had long since been flattened by agricultural activity. It formed a path of entry into East Anglia during the period followed the end of Roman imperial rule in the 5th century. 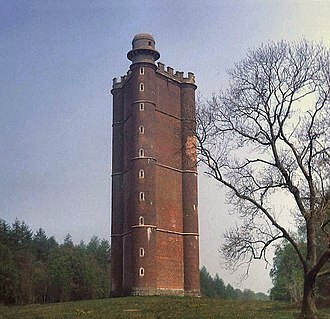 South of Woodbridge, there are 6th-century burial grounds at Rushmere, Little Bealings, and Tuddenham St Martin and circling Brightwell Heath, there are cemeteries of a similar date at Rendlesham and Ufford. A ship-burial at Snape is the one in England that can be compared to the example at Sutton Hoo. There is evidence that Sutton Hoo was occupied during the Neolithic period, circa 3000 BCE and they dug small pits that contained flint-tempered earthenware pots. Several pits were near to hollows where large trees had been uprooted, the best surviving example contained a ring of upright posts, up to 30 millimetres in diameter, with one pair suggesting an entrance to the south-east. In the central hearth, a faience bead had been dropped, the farmers who dwelt in this house used decorated Beaker-style pottery, cultivated barley and wheat, and collected hazelnuts. 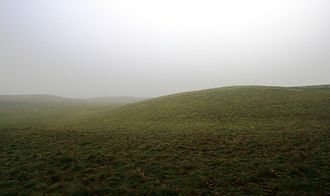 They dug ditches that marked the surrounding grassland into sections, indicating land ownership, during the Iron Age, iron became the dominant form of metal used in the British Isles, replacing copper and bronze. The copies of the Golden Horns of Gallehus exhibited at the National Museum of Denmark. Sir Gawain and the Green Knight is a well-known alliterative poem in Middle English (from original manuscript, artist unknown). The Fyrby Runestone tells in fornyrðislag that two brothers were "the most rune-skilled brothers in Middle Earth." 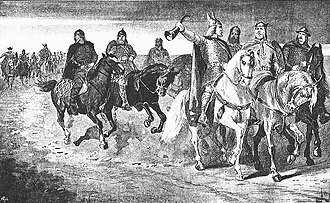 Hrólfr Kraki spreading gold to escape the Swedes, by Jenny Nyström (1895). Heoroweard and Hrólfr Kraki, by Jenny Nyström (1895). Hrólfr Kraki and his warriors leap across the flames. Illustration by the Danish Lorenz Frølich in a 19th-century book. Hrólf's parents Halga and Yrsa, by Jenny Nyström (1895). The Yngling Ingjald slaying his kinsmen. Yngvi and Alf slaying each other. Øm jættestue: Neolithic passage grave near Gammel Lejre. The three large royal mounds at Gamla Uppsala. 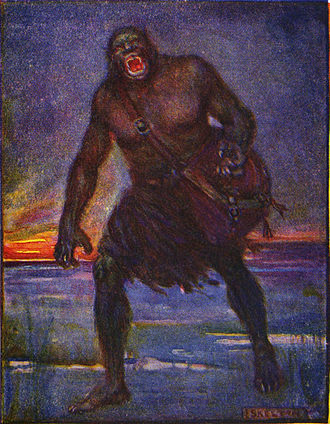 An illustration of Grendel by J. R. Skelton from Stories of Beowulf. Grendel is described as "Very terrible to look upon." 1908 depiction of Wiglaf speaking to Beowulf after his battle with the dragon. Beowulf is mortally wounded.